The new Model 0101 Hard Drive Crusher from Security Engineered Machinery (SEM) destroys all computer hard drives regardless of their size, format or type, including 3.5” and 2.5” technology. A drive (or multiple laptop/notebook drives) is placed in the crusher, the safety door is closed, and at the touch of a button a conical punch inside the unit delivers a staggering 12,000 pounds of hydraulic force, causing catastrophic trauma to the hard drive’s chassis while destroying its internal platter. Destruction takes only 10 seconds. 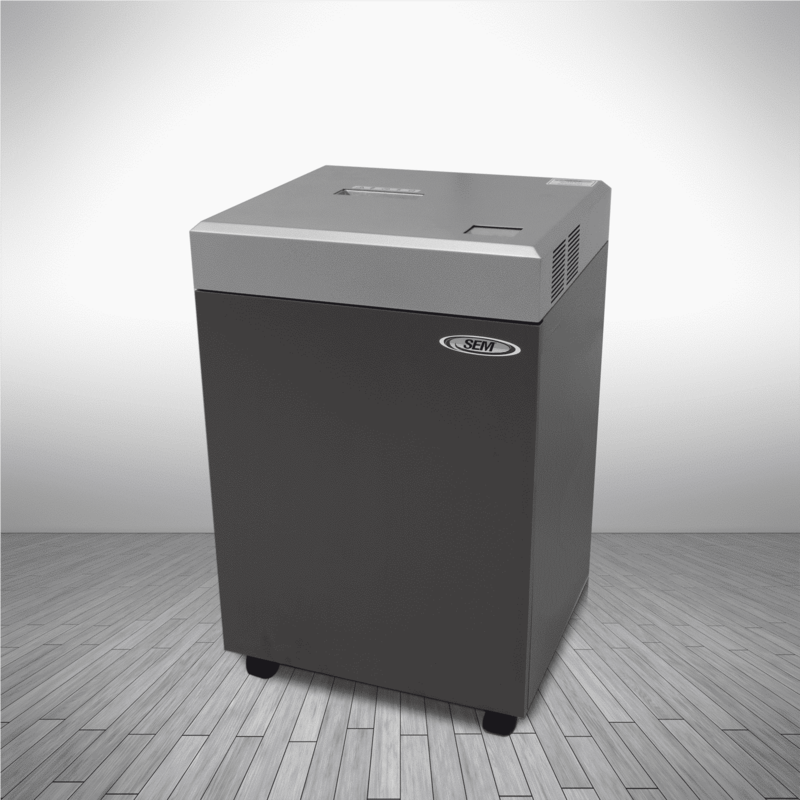 Quick, quiet, and clean, the 0101 makes it easy for offices, hospitals, data centers, and other facilities to destroy large quantities of confidential/sensitive information in a timely manner in accordance with various government regulations and industry standards (HIPAA, FACTA, SOX, PCI DSS, etc.). The Sledgehammer also satisfies National Security Agency requirements for physical destruction of drives after they have been degaussed by an NSA-listed degausser. The SEM Model 0101 is compact and portable (22”H x 10”W x 19”D, 105 lbs.) and is virtually vibration free. A standard 120V wall outlet is adequate for its extremely low power consumption. To protect the operator, a safety interlock prevents the unit from functioning while the door is open, and an emergency stop button halts operation. A leader in the secure destruction of electronic media and paper documents, Security Engineered Machinery, ISO 14001 registered, is the largest direct supplier of data-destruction equipment in the United States and operates the largest destruction facility in the Northeast, adjacent to its headquarters in Westboro, Massachusetts. The company’s full-service engineering department designs special products, such as the currency destruction systems in use by the Federal Reserve Bank and other central banks. Every American embassy uses SEM equipment. Areas of expertise include the destruction of hard drives and other mixed media; “off-spec” or returned product for the pharmaceutical, medical device, and food industries; and heavy-duty, high-capacity shredders for recycling applications. More than 100 SEM authorized service centers are positioned to serve customers worldwide. Click here for complete product details, specifications and pricing.